Three hundred people have been immunized following an outbreak of whooping cough in an Amish community in Missouri. The community in question is at Seymour in Webster County. 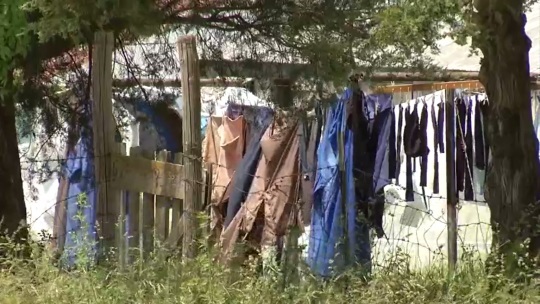 This is the largest Amish settlement in the state, with a population of 1500-plus. As of yesterday there were 15 confirmed cases with 2 babies hospitalized. Whooping cough and measles are diseases which have shown up in Amish communities in recent years, and which have been exacerbated by a lack of vaccination. Other cases include a whooping cough outbreak in Delaware and measles in Holmes County, OH. Whooping cough is apparently not that rare to begin with (10,000-40,000 reported cases yearly, but many cases undiagnosed). Measles on the other hand is uncommon (described as technically “eliminated” in the US in 2000). The highest-profile recent Amish public health incident was a large outbreak of measles in Holmes County in 2014, following a mission trip to the Phillipines by members of the community, with over 350 cases reported. Immunization rates are lower among Amish for factors including not realizing the benefits, and in some cases religious objections, which can make communities ripe for outbreaks like this. 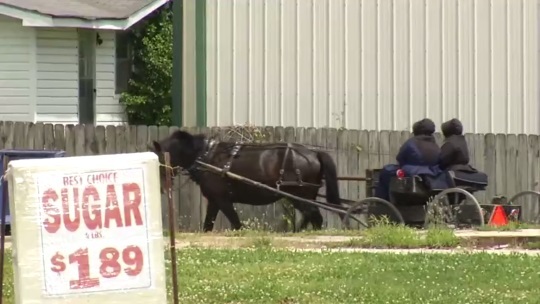 But Amish have responded when the risks and benefits are made plain, as in the Holmes County measles case, where over 8,000 Amish in the community were vaccinated. As I have been attending Amish auctions this spring I only saw one location where the PA Dept of Health was offering immunizations. That was near Danville, Pa (Beaver Run). RMM and tetanus shot were being offered. A few years ago a group from Perry County went to Haiti to help rebuild and they brought back measles. I was recently told they have had no cases in the last two years. In this area, 3 students at a nearby town’s high school have contracted mumps. I’m sure with summer vacation beginning, there will be more diseases spreading throughout the country…and beyond. Too bad so many (English & Amish) don’t understand that their refusal (or ignorance) to vaccinate can adversely affect “innocent bystanders” and not JUST themselves & their children. People with compromised immune systems (cancer patients having chemo/radiation, for example), infants, etc., can have their lives threatened by preventable diseases they catch from non-vaccinated individuals.